There has never been a better time to live or do business in Hull and East Yorkshire. After decades of negativity, the region is firmly on the up. With the 2017 City of Culture celebrations off to a fantastic start, we take a look at how our business has benefitted from the new wave of positivity that’s sweeping across the city. We also examine the work we’ve been doing to support Siemens, the growth in popularity of timber frame building, and our upcoming programme of seminars for self-builders, set to launch later in the year. 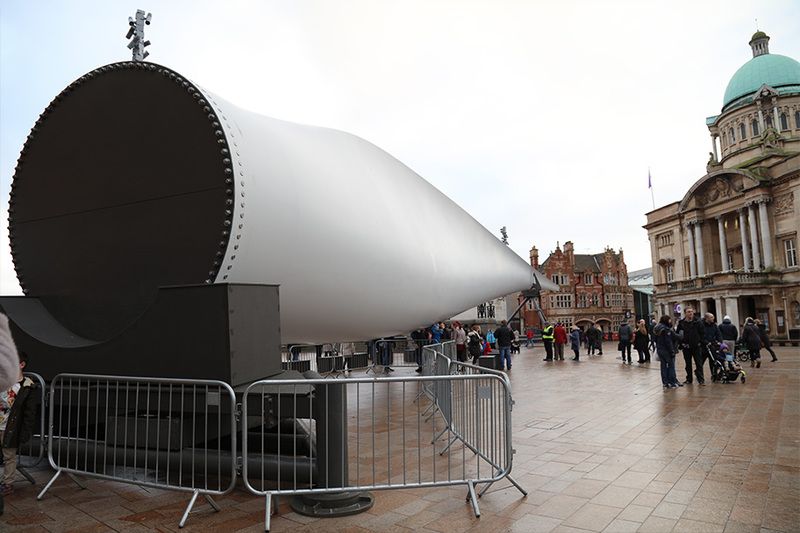 As part of the City of Culture Celebrations, ‘The Blade’ – a 75m wind turbine blade made at the new Siemens factory in Hull has been on display in Queen Victoria Square. 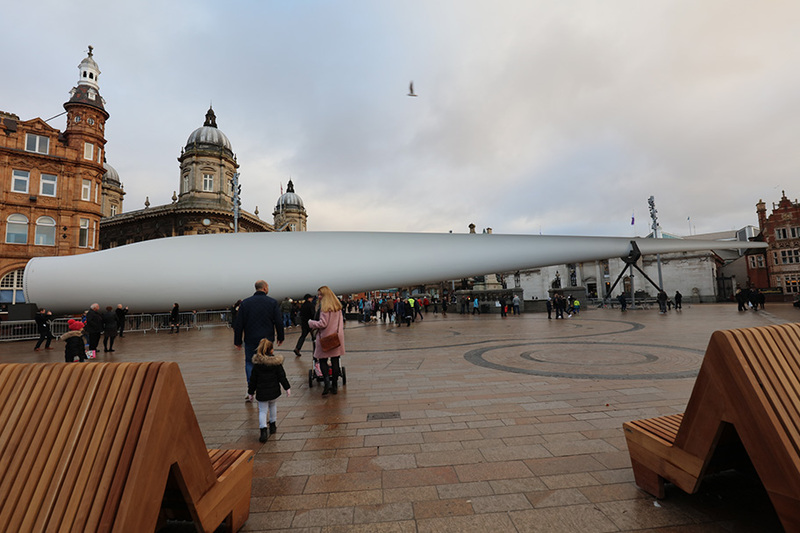 It’s a massively impressive piece, and a testament to the city’s future as a centre for renewable energy. 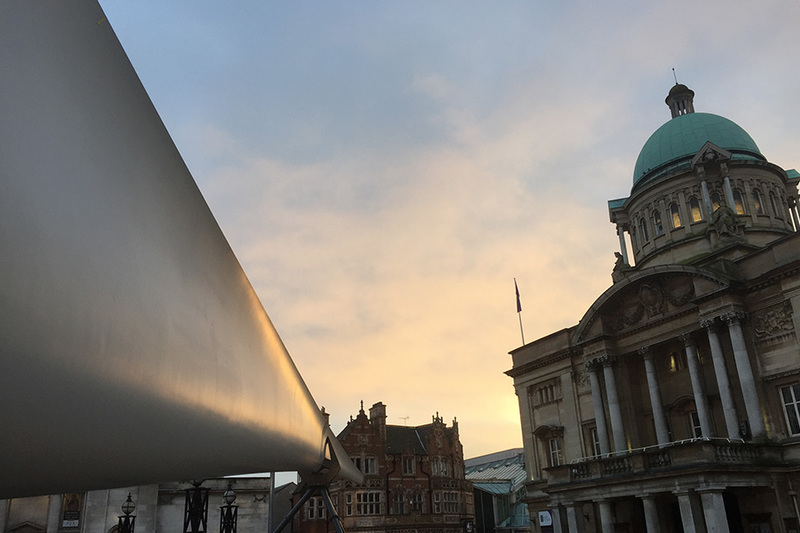 We’ve been working with Siemens since their arrival in Hull, and our timber frames have a big part to play in the creation of the turbine blades, including the one used for this stunning sculpture. As timber engineering specialists, and our work goes beyond the manufacture of timber frames for buildings. Siemens use giant moulds to produce the turbine blades in Hull, and we were tasked with creating the timber working platforms that sit around these moulds. We were also involved in the creation of similar platforms at the new facility at the Hull College Group Composites Training Centre. These platforms will be used to help train the next generation of engineers, to prepare them for opportunities in the renewable industry over the coming years. The Siemens’ investment and the City of Culture celebrations have been huge for the city, and for local business. Our contract with Siemens had a value of £1m alone, and there are success stories just like ours for businesses all across the region. You only have to look at all the investment, infrastructure and building work going on to see that this is just the tip of the iceberg. C4DI, the Fruit Market, the new Hull venue, housing developments and regeneration projects are happening all across the city, shaping the future of the region in the process. There’s so much to be positive about, and we’ve never been prouder of our local roots. We can’t wait to see what the future holds for our city. With so much construction going on in the region, we’re also seeing a big rise in demand for our timber frames, trusses and joists and hybrid oak feature frames. It’s an extension of a national trend – more and more self-builders and developers across the country are embracing timber frame building, as they become more aware of the benefits in terms of the build process, timescales, cost, performance and environmental impact. Are you considering timber frame building for your project?